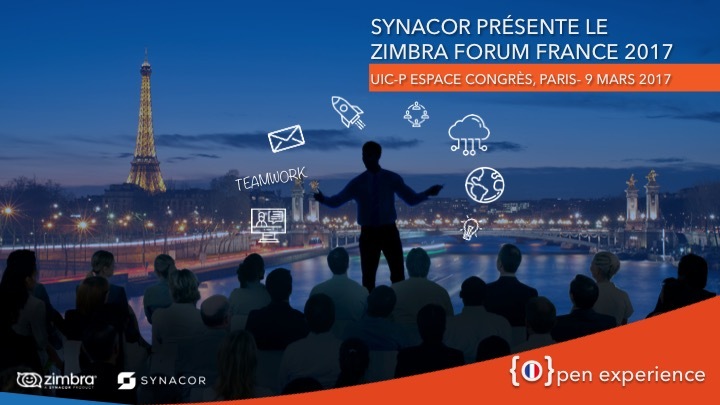 Synacor presents the 8th Edition of Zimbra Forum France, organized by Zimbra for our Community and Sponsored by our network of local Partners and Resellers. What: An afternoon filled with presentations and information from our sponsors and technological partners. The agenda is a work in progress, and we will share it when it’s finalized. The event has a limited reception capacity, so we invite you to book your tickets and dates now! 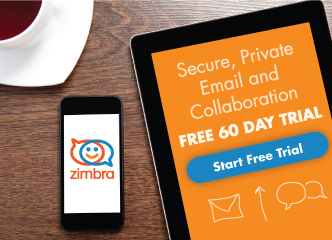 Mariama Diaby, Business Development Specialist at Zimbra, will start the day with an introduction to the new Zimbra & Synacor structure — for anyone who wants an introduction to Zimbra or to increase their basic knowledge of our solution. Erynn Petersen, VP Email & Collaboration at Synacor, will present the foundations on which Zimbra is currently working to improve its product and highlight some developments to come in the next few months! This will be a plenary session in English … BUT with a direct, simultaneous French translation to help you understand the important communications that will be made. Networking opportunities with a free lunch and coffee breaks, all with a view on the Eiffel Tower to immortalize your memories of our Forum!